EdSurge article on designing higher education. Based on my white paper commissioned by the U.S. Department of Education in October 2017, my co-author and I wrote this EdSurge article in June 2018 urging the postsecondary sector to re-think whom the “human” really ought to be in “human-centered design”—we hypothesize it’s actually not the student. World Positive article on higher-ed economics. The VC firm Obvious Ventures commissioned me to write this piece in for their digital publication World Positive about new business models in higher-ed. Fast Company article on worker versatility. I wrote this piece in Fast Company about the value of versatility at work—and how to develop it in yourself. 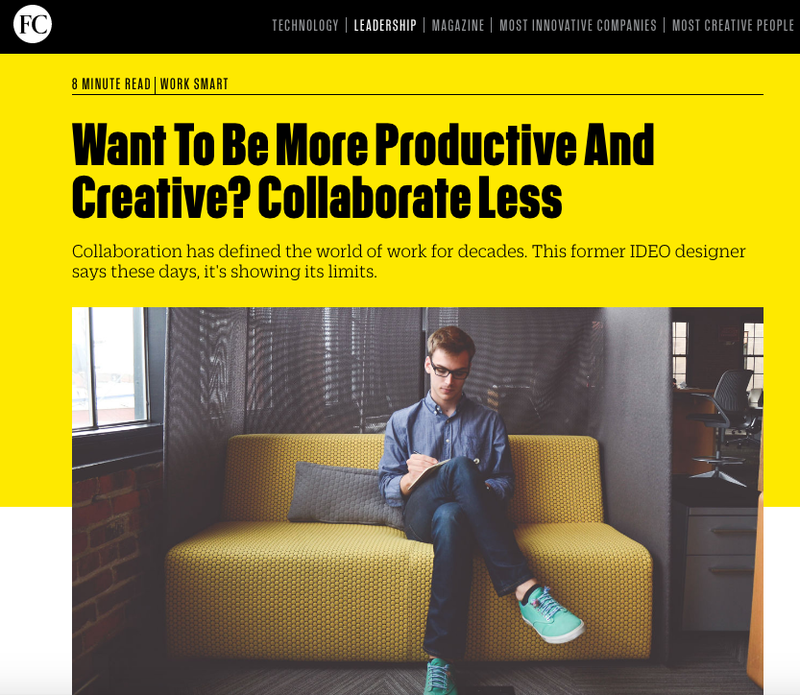 Fast Company article on the costs of collaboration. I wrote this piece in Fast Company about the limits of workplace collaboration and whether or not it's gone too far. I wrote this piece for San Francisco's The New Fillmore newspaper about my grad school thesis project: an interactive walking tour to designed to improve community resilience in the Fillmore. Fast Company article on the talent market in the gig economy. I wrote this piece in Fast Company about the rise of freelance "comprehensivists"—knowledge workers with polymathic tendencies in multiple disciplines. Medium post on business model innovation. I wrote this piece published in IDEO Stories about the final frontier of systems design and integrated innovation: the business model itself. 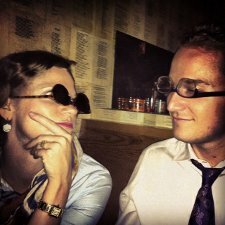 I wrote the web copy on the origins of a travel startup I co-founded with my sister and others called YachtLegend. I wrote the web copy on the product concept behind a travel startup I co-founded with my sister and others called YachtLegend. 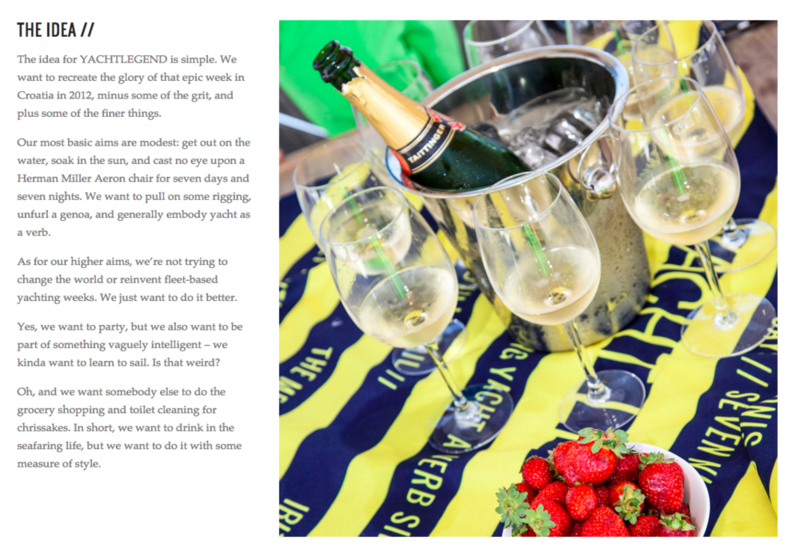 I wrote the mission statement copy for a travel startup I co-founded with my sister and others called YachtLegend. I wrote the vision statement copy for a travel startup I co-founded with my sister and others called YachtLegend. I wrote the company values copy for a travel startup I co-founded with my sister and others called YachtLegend. Elite Daily article on essential travel. 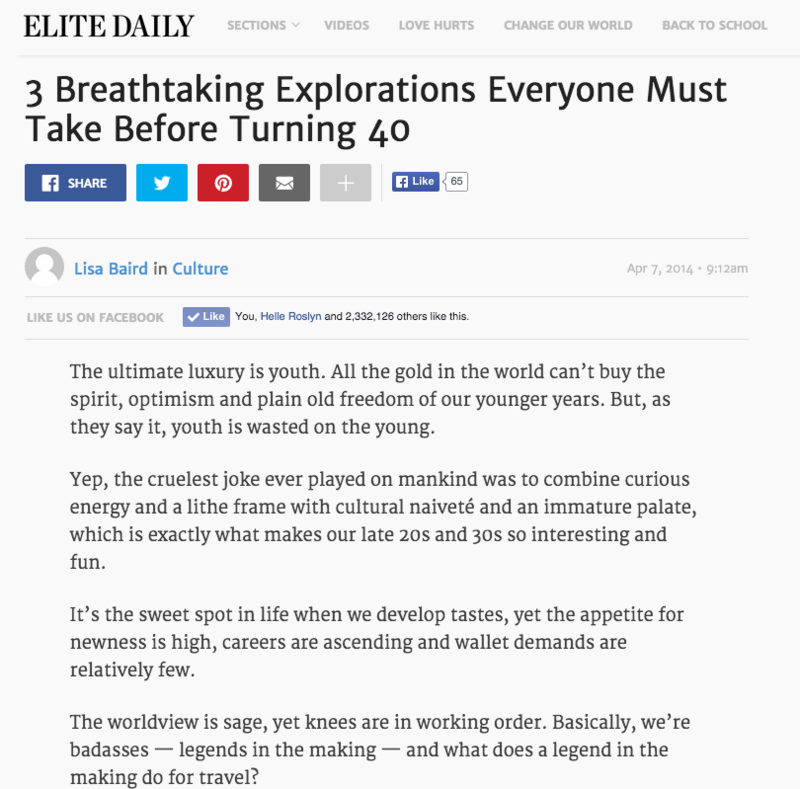 I wrote this travel piece published by Elite Daily on three essential travel destinations that die-hard travelers should hit before turning 40. 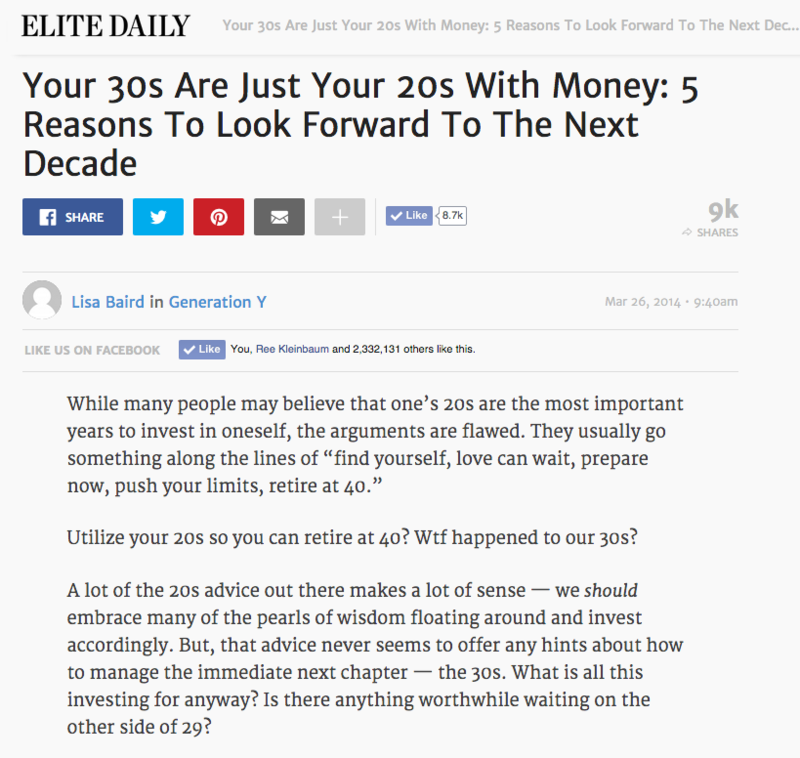 Elite Daily article on 20s versus 30s. I wrote this lifestyle piece published by Elite Daily on transitioning gracefully from one's late 20s into the 30s. Shared over nine thousand times. Elite Daily article on the trip to end all trips. I wrote this lifestyle piece published by Elite Daily on combatting the feeling that "youth is wasted on the young" with strong doses of wanderlust. I wrote the President's annual letter to stakeholders in the 2010-2011 audited financial statements for the University of California. Letter from the CFO (2011). I wrote the chief financial officer's annual letter to stakeholders in the 2010-2011 audited financial statements for the University of California. Letter from the CFO (2010). I wrote the chief financial officer's annual letter to stakeholders in the 2009-2010 audited financial statements for the University of California. I wrote a near-future dystopia in the medium of Interactive Fiction. Its proximity to reality might ring a little too true. To play the game, simply type natural-language commands of what you would like to do.